Yesterday was the second day of enrollment for 1st semester, AY 2011-2012 in UP Diliman. 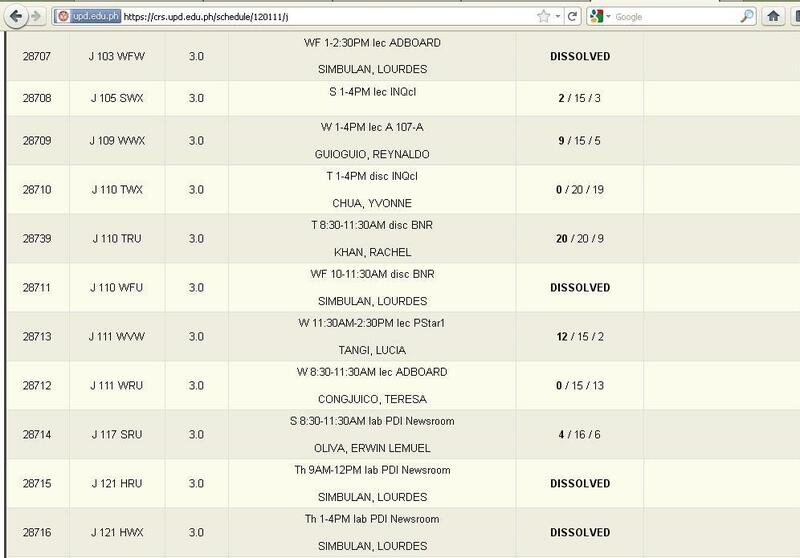 This is already my second enrollment as a Master of Arts in History student. She is also listed as a thesis adviser to a pair of journalism seniors writing about the ethics-related problems during the August 23 Manila hostage fiasco. Mam Chit is a full-time professor at the College of Mass Communication. She is on her way to obtaining tenure after earning a master’s degree in public management from the UP Open University last April month. I can’t help but feel sorry for the scores of students who would have learned a lot under Mam Chit’s mentorship. This entry was posted on Wednesday, June 8th, 2011 at 5:49 pm	and tagged with chit simbulan, journalism, up diliman and posted in journalism. You can follow any responses to this entry through the RSS 2.0 feed. According to Dr. Encanto, she just earned her tenure as a professor.